A baseball player slides on the ground to tag a base. A toy car's wheels rub against the floor and slow the toy car down. Friction is at work all around you. 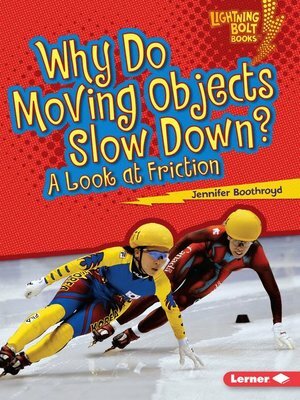 But what exactly is friction? And how does it affect different objects? Read this book to find out! Learn all about matter, energy, and forces in the Exploring Physical Science series—part of the Lightning Bolt Books™ collection. With high-energy designs, exciting photos, and fun text, Lightning Bolt Books™ bring nonfiction topics to life!